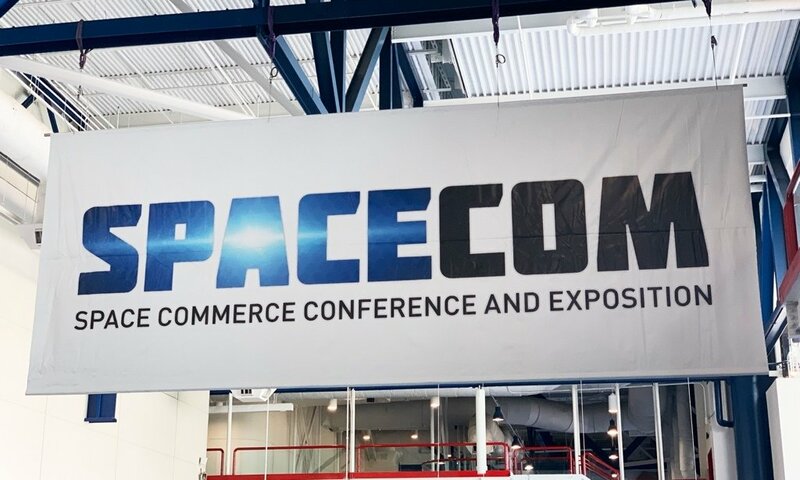 Radio2Space is very proud to be at the SpaceCom 2018 in Houston, the two-day event where NASA, aerospace, and industry come together to connect space technologies to business innovation! The event includes forward-looking conference sessions, a packed exhibit hall showcasing cutting-edge technology, and an Entrepreneur Summit that promises to transform markets. 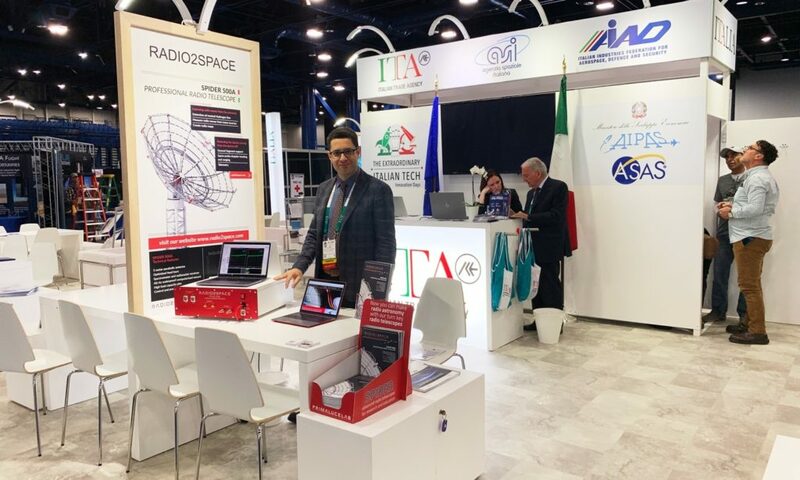 Radio2Space is in the Italian Trade Agency booth, with our Radio2Space radio telescopes for radio astronomy and satellite communication. Here we show our H142-One radio astronomy receiver connected to a computer running our RadioUniversePRO control and processing software for SPIDER radio telescopes. 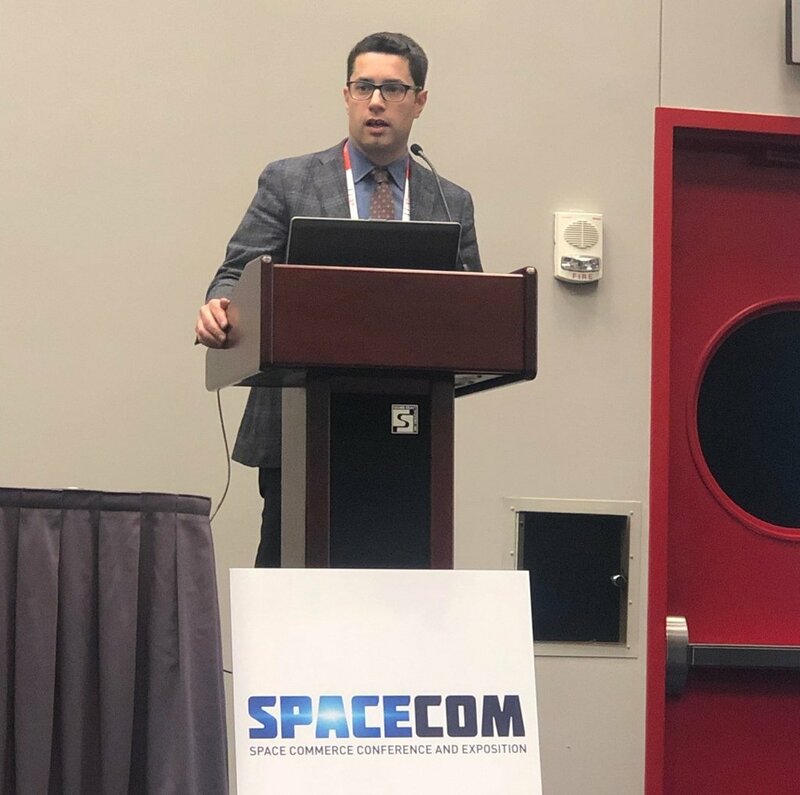 We’re also talking about how we are able to prepare custom solutions in order to use our radio telescopes for satellite communication applications. At the entrance of the event. During a special event in SpaceCom 2018, Filippo Bradaschia presented Radio2Space radio telescopes and showed how space agencies and institutes are now able to own and operate their own ground station by using the SPIDER radio telescopes. 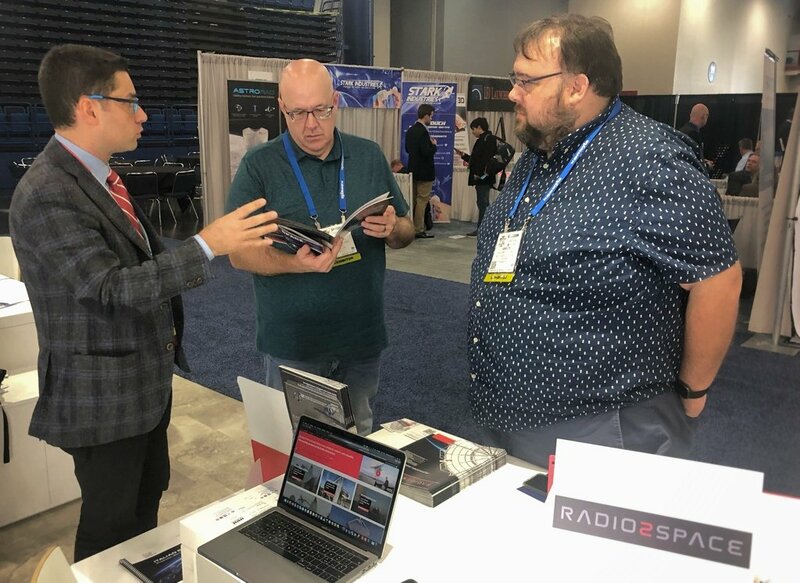 He focused on the possibilities now offered from these affordable radio telescopes and the advantages of using compact instruments in many applications. 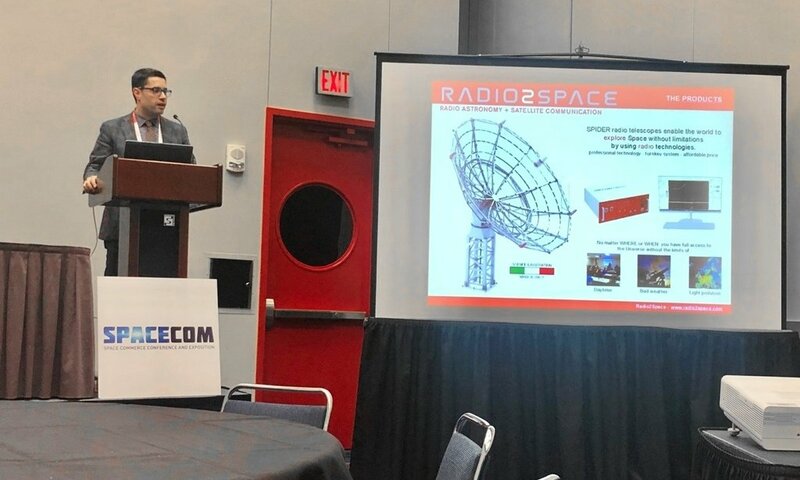 Filippo also introduced the developments Radio2Space is creating for these instruments, referring in particular to the interferometry capabilities of the radio telescopes. The event has been a great success and we’re very happy to be part of it and show our innovative radio telescopes. And of course, just after the event, we had the opportunity to visit the NASA Space Center in Houston, what a great week end!